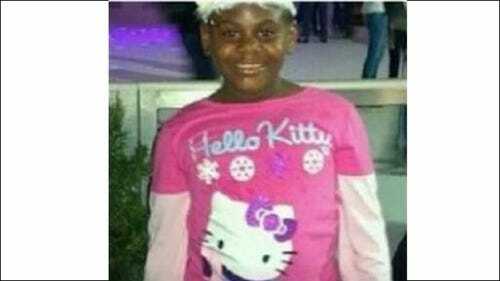 Bradenton, Florida --The food was grilling, the crowd was growing at the corner of N. 22nd and E. Ida St., and people were there for one reason: 9-year-old Felecia Williams. "We want to celebrate her full life, short as it was, a life as a life," says Anthony Gilbert of Amped Up Entertainment. Anthony lives and works in the community. He says the little girl known as "Sugar Plum" left many smiles along the way. Gilbert says, "I remember her up and down the street, 100 times a day, peddling and peddling her bike, always happy." Gilbert helped organize the event to show the family support. Felecia's mother, sisters, relatives, and friends joined this celebration of her life right after her funeral. "I still can't believe my baby touched so many lives," says Felecia's mother, Felecia Demerson. Gilbert says the event is also a chance to help unite the community so another child doesn't end up like Felecia. Gilbert says, "Right now, everyone needs to get together, look out for the well-being of our children and the caretakers. We need to be more interactive with our community, know each other, to better help keep things like this from happening again." Felecia's body has been put to rest, bur her family and friends say they won't rest until her case murder case is solved. "No closure yet. We hope the person responsible for this is brought to justice. That's what we're praying for this time," says Gilbert. Felecia's mother says, "I wish that the persons involved would be brought to justice for closure, for the healing to begin."